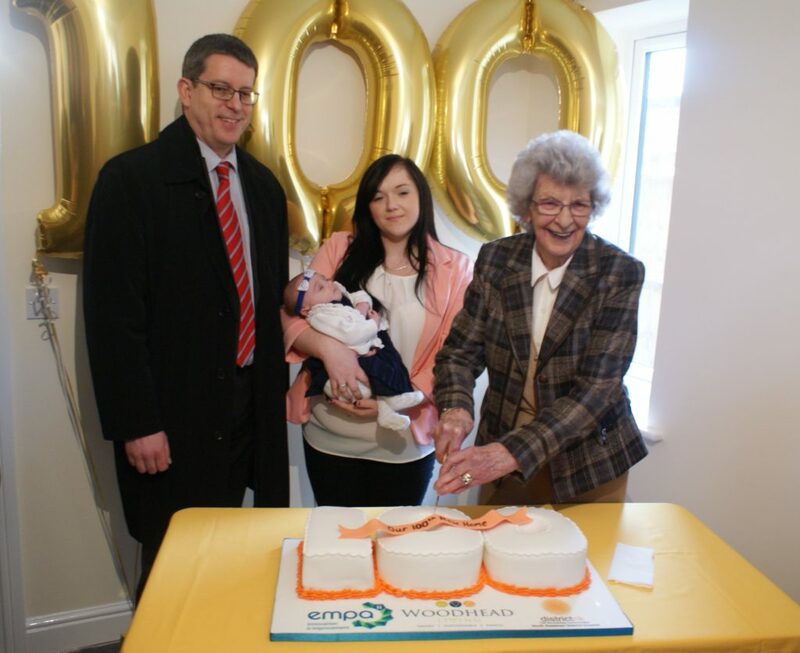 North Kesteven District Council (NKDC) has cemented its position as a pioneer of social housing expansion as it unveils its 100th home. Woodhead built the most recent four homes on Princess Margaret Avenue in Metheringham – reaching NKDC’s 100th milestone in the process. The properties are the latest in a long-line of schemes delivering quality, affordable homes right across North Kesteven, in areas of greatest need. NKDC was one of the first local authorities to lead a new era of council house construction in 2009. And, as last year recognised, the council has created more homes than any other district across the country in recent years. The energy efficient houses were built by Woodhead Living, Woodhead’s specialist sustainability team, appointed through the EMPA ii (East Midlands Property Alliance) Framework. This was Woodhead Living’s fourth project for NKDC. Business Development Director, Glenn Slater said: “We’ve been involved with North Kesteven District Council on its aspirational social housing programme since our first highly successful scheme in Ruskington, we’re delighted to have built the 100th property in the scheme. “On every site we work on, we strive to involve the local community and make building a better experience for all, I would like to thank the neighbours for making our site manager, Eddie Lucas, feel so welcome in their community. In 2009 the council laid the first bales for its pioneering straw houses – the first social housing to be built in this way, and the first new council homes in North Kesteven for 20 years. They have now gone on to build 100 new homes on 19 separate sites in ten towns and villages. The programme was initially launched in partnership with the government’s Homes & Communities Agency, which provided half of the funding needed for the first 46 homes across 12 sites. Over the past two years the council has invested itself in delivering a further 54 houses on another seven projects. All homes were built using a Fabric First approach, enabling them to be efficient and sustainable, making them cheaper to run for tenants. They include a range of straw and traditional brick construction, bungalows, flats and houses of varying size, built to Lifetime Homes standards. Other innovations include the use of ground and air source heating, solar water heating and photo voltaic panels, sheep’s wool and recycled material insulation, triple glazing and mechanical heat recovery. Tenants have now been allocated their brand new homes on the latest Metheringham site. They include young mum, Emma Fahy who is making a home with baby Elsie. She’s delighted to be able to stay close to her roots in the village and thrilled to have secured the 100th house as her first home. “I feel really privileged to have such a lovely new house that’s so big and perfect and that no one has lived in before. I’m both excited and nervous and pleased to be so close to everything,” said Emma, who is studying to be a special education needs teacher.